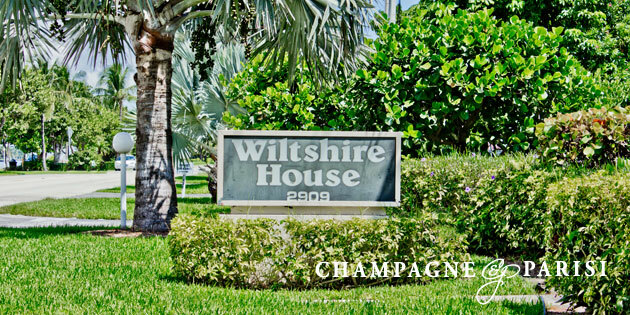 Wiltshire House is a sophisticated waterfront condominium community that sits on the sand in Highland Beach, Florida. With just 25 elegant condos, Wiltshire House was built in between the Atlantic Ocean and Intracoastal Waterway in the Southern part of Palm Beach County. Wiltshire House is an ocean lover’s dream, providing gorgeous views of the water from large private balconies to residents. Not only does Wiltshire House provides stunning views of the water, residents will also have access to a private beach among other amenities. Some other resort-style amenities included when you purchase a condo are a luxurious swimming pool, fitness center, tiki hut, shuffleboard courts, and a private clubhouse with community room for entertaining. Living at Wiltshire House is sure to amaze. Each condo is finished with various features that are sure to fit the residents’ needs. Features include new kitchens with granite and wood, large floor plans, crown molding, designer lighting, hurricane shutters, oversized master bedrooms, and sliding doors. Wiltshire House condos are luxury at its finest. You’ll also be just a short drive away from fabulous activities.